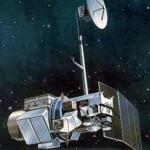 When the Landsat 5 satellite launched on March 1, 1984, it was expected to last at least three years. More than 29 years and 2.5 million images later, the U.S. Geological Survey issued the final command to the aged satellite on June 5, 2013, and officially decommissioned it on June 19. MapBox imagery specialist Charlie Loyd takes a detailed look at Landsat 8’s spectral bands. For over 29 years, commands have been sent to Landsat 5 for acquisitions, orbital maneuvers, to fix problems, and even to avoid space junk. Today at 11:34 EDT, the final command was sent to Landsat 5, to turn her solar array away from the sun, essentially ending further power to the onboard computer. She is out of fuel and will reenter and burn up in Earth’s atmosphere in around 21 years. Landsat 5 was certainly crotchety at times, but her longevity is now legend, and we’ll miss her.